I taught sixth through tenth grade students with diagnosed emotional and behavioral disabilities. In this role, I developed, implemented and evaluated Individual Education Plans and daily lesson plans that met the individual objectives of each student. Also managed crisis situations through utilization of skills learned in agency-approved training. I also attended several Asset Incorporated training sessions. Starfish Committee - Committee formed to implement a program to eliminate peer intimidation through violence and verbal insults within the school. Behavioral Modification Committee - Committee formed to develop and implement behavior plans as well as managing challenging situations that may arise in the classroom. Vocational Education - Taught carpentry skills and general home remodeling to students from throughout the Holy Family Organization. Collaborated with teachers and administration to introduce and integrate various technological tools and resources for grades kindergarten through sixth. Emphasized enhancing curriculum lessons through the use of Smart boards, projectors, personal response systems and various other tools. Conducted in-service trainings, as well as one-on-one trainings for staff members. Taught second grade students in all general education subjects. Instructed multi-age groups in history and science. My duties included submitting standard-driven lessons, administering DIBELS, DRA’s, SAT 10, and other progress-monitoring assessments. 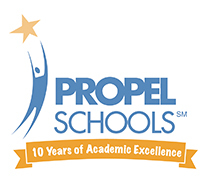 I utilized Math Investigations, Open Court and History Alive curriculums while teaching at Propel. Trained on Successmaker and Waterford Learning Computer Systems both of which were used extensively in my classroom. Started an initiative to raise science awareness in our building in attempt to raise Science PSSA scores. National Science Teachers of America (NSTA) member. Organized 1st annual science fair. ASSET SCIENCE - Participated in numerous professional development sessions Topics included: Inquiry, building investigative science notebooks, technology integration, and current curriculum matters in the classroom. Assumed teacher leader responsibility in my building as well as the S.O.S. (Specialist on site). Extensive presentations regarding standards and science methodology. Assisted in the Kit Specialist program where I taught a science module unit to teachers at other districts. Taught the following science modules: Life Cycle of the Butterfly, Solids and Liquids, Insects, Balance and Weighing, Changes, Ecosystems, Electric Circuits, Food Chemistry and the Human Body. ODYSSEY OF THE MIND -COACH/SCHOOL COORDINATOR - Achieved state final recognition 2 years in a row while coaching third, fourth, and fifth graders in Odyssey of the Mind. This program teaches students to learn creative problem-solving methods and team-building activities while having fun in the process. PSSA MATH RANGEFINDING COMMITTEE - Selected through application process to participate in Math Rangefinding committee to review/score appropriate grade-level responses from the PSSA tests. STAR DISCOVERY EDUCATOR - Selected through application process to be a member of a global online collection of educators who share technology strategies. Responsible for training, modeling, and assisting teachers in integrating technology in the classroom to improve student achievement. Work in five buildings with students in grades kindergarten through 12 to oversee, model and plan effective implementation of technology. PUBLISHED ARTICLE - I had an article about the importance of technology coaching in the schools published in May 2009 in The Pennsylvania Administrator Educational Leadership magazine. Assisted in the successful opening of the building in August 2010. During the first year my building consisted of both elementary and high school students, which allowed me to experience a broad spectrum of supervisory experience. I have since shifted to the high school when the building was divided into two separate schools. I facilitate learning opportunities for children, support staff on a daily basis, listen to, support and encourage parents, serve as parent/teacher/student liaison, coordinate budgets, hire and supervise staff. I am the building transportation coordinator, responsible for arranging bussing for 15 districts. I support the mission and vision of Propel Schools with a blended project-based learning model. Emerged in 2013 as a School of Innovation and Design following four key components; technology, research, partnerships and programming. THREE RIVERS EDUCATION AND TECHNOLOGY CONFERENCE - Member of the planning board for the regional annual conference, bringing together the regions top technology leaders and stakeholders. PITTSBURGH FOUNDATION CHANGE AGENT - The purpose of this initiative is to introduce regional K-12 teachers and educators to the theory and practice of Design Thinking and Human Centered Design as a way to effect change in public education. This series of workshops is an introduction to a way of learning, and at the same time a way of teaching, that is grounded in empathy, understanding what students and their teachers need, and a spirit of curiosity and inquiry. WESTERN PENNSYLVANIA PRINCIPAL LEADERSHIP ACADEMY - The Principals Leadership Academy is to help principals build the skills necessary to lead positive change in schools and to create a school culture where all students improve and grow academically, emotionally and socially. The Academy supports the principal's efforts to lead reform initiatives designed to improve student achievement. MINI PROlab-MOBILE MAKER TRAILER- After writing and receiving a grant from the Sprout Fund, we were able to implement the Mini Pro-LAB, a project of Propel Braddock Hills High School, an extension of the high school’s in-house Pro-LAB Maker Shop, Studio and Game Design Series that will provide a “pop-up classroom” for children in underserved communities to experience hands-on STEM learning. The mobile Mini Pro-LAB (Learn, Apply, Build) is equipped with prototyping machinery, materials and instructional technology, with interactive learning modules developed through partnerships with TechShop Pittsburgh and the Children’s Museum’s MAKESHOP. As the principal of an independent, private, Catholic high school serving students in the Pittsburgh region, I am privileged to work with a team of hardworking students and adults to facilitate deeper learning opportunities across the curriculum. On a daily basis, I motivate teachers and students to work towards excellence at their corporate internship experiences at various companies throughout the Pittsburgh region. While being part of an innovative team, I have assisted in coordination of student exhibitions, project-based seminars and career capture opportunities for our students to help students find their post-secondary passions. Worked with teachers on embedding design-thinking methods into the curriculum to increase engagement and inquiry.